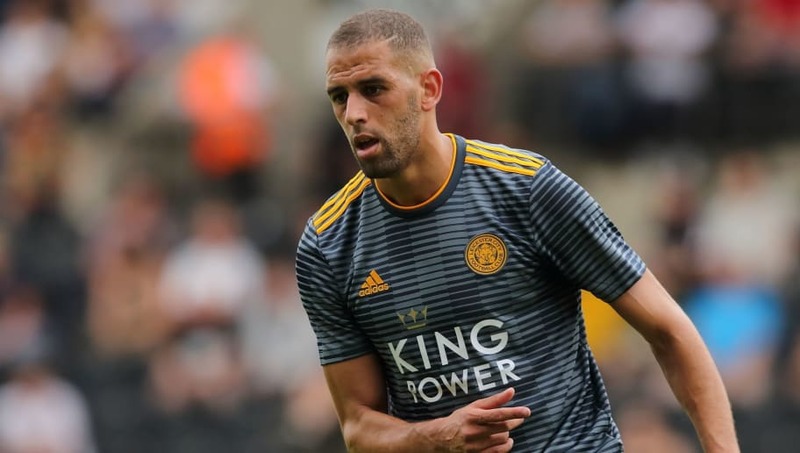 ​​Leicester striker Islam Slimani has left the King Power Stadium to join Turkish giants Fenerbahce on a season-long loan deal. The 30-year-old remains Leicester's record signing after joining from Sporting CP two years ago for a reported fee of £28m. He has failed to make his mark in the Premier League though, being farmed out on loan to ​Newcastle last season after falling behind Jamie Vardy, Kelechi Iheanacho and Shinji Okazaki in the Foxes pecking order. Confirming his departure on their ​official website, Fenerbahce said: "Our club has reached an agreement with English team Leicester City to loan Islam Slimani for one year. Algeria national team footballer Slimani, after health checks, has signed the official contract." The Algerian powerhouse failed to score last season during his four Premier League appearances on Tyneside, with his temporary move disrupted by an ongoing thigh injury. His season was then prematurely ended after he was handed a three-match ban for violent conduct, after an off the ball altercation with ​West Brom defender Craig Dawson. He scored 48 times in 82 appearances in Portugal, but leaves England having mustered just eight league goals in 39 ​Premier League games - costing the Foxes around £3.5m per goal scored.